“What kind of work do you do?” This simple question was difficult to answer during my trip through Cuba. I work at an ad agency and not many Cubans are familiar with advertising. Let’s say explaining this in my ‘poquito Español’ was quite a challenge. I guess in a country where there is no competition, brands don’t need advertising in order to distinguish themselves. I mean, in Cuba there is only one service provider, one soft drink (if you’re lucky), and it’s all owned by the state. What? My work? Propaganda?… Here in the Western, capitalist world ‘propaganda’ is likely to be mentioned in the same breath with the Nazis and Adolf Hitler. In Cuba, it still is the only type of advertising. 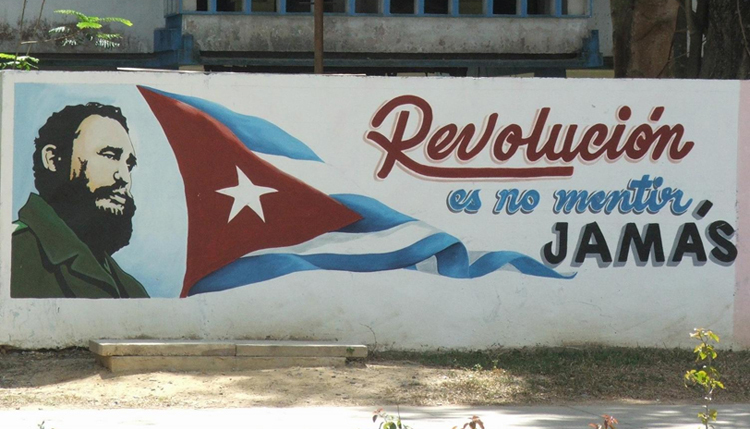 Even today portraits of Fidel Castro and Che Guevara grace the buildings and slogans like “Viva la Revolución” are to be seen everywhere. Cubans have a different perception on this type of communication than tourists. You could say the Cubans are indoctrinated, but in a way, we are too. By the government and even more so by multinationals. Always wanting more. Bigger. And Better. I wouldn’t say advertising caused this mindset, but it definitely contributed to it.